The rise of gaming brought about a huge desire for portable computing on a screen larger than that of the smartphones that were available at the time, and tablet devices filled that void for many people. However, while the novelty of the tablet device has ebbed from the waves that the technology made in its heyday, there are still tablets available that surpass the initial newness of the concept and put large-screen mobile performance in your hands. 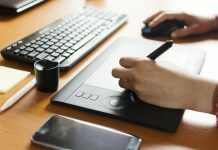 Although many people who use tablet devices have replaced their personal computers altogether after seeing that the tablet had sufficient computing power for checking emails and general web browsing, there are those who use it as either a secondary device for travel or for business purposes. This article’s focus falls on tablets that are used for gaming on the go. As there are many specifications that you should consider before purchasing a tablet for gaming purposes, we have taken the liberty of compiling research to begin your quest. Tablets are small touch screen devices that are used for mobile personal computing. 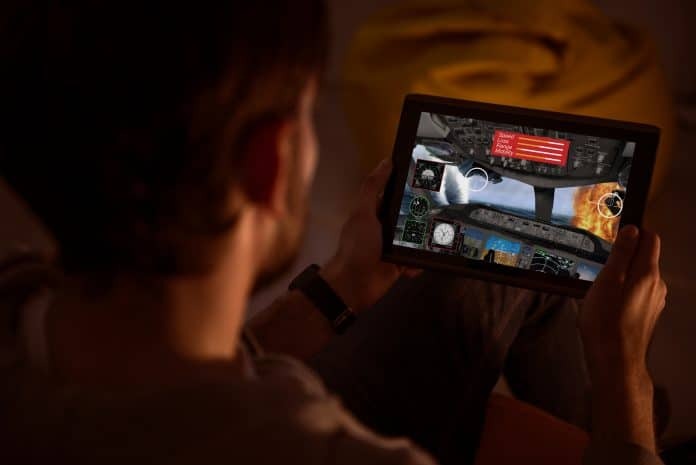 Typically, tablets are able to connect to the internet through Wi-Fi, and some models are even able to access the web with a data plan similar to your smartphone plan. The screen size of a tablet can range anywhere from 7 inches to 11 inches, which allows the device to easily access productivity apps and other programs that are unfit for the small screen of a cellular phone. Tablets offer all the portability of a laptop computer while cutting down on size and weight. Tablet computers are capable of performing in a number of different ways. 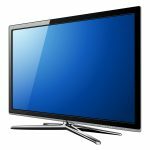 In the case of the tablets that appear in this list, they can be used purely as an entertainment device for playing games, watching Netflix, or streaming music. However, tablets can also be used to take care of urgent business in a pinch. Since they are slightly less powerful versions of laptop computers, tablets are more than capable of handling simple tasks like sending emails and creating documents. This can be made even easier with a detachable or Bluetooth keyboard. Additionally, many models of tablets have both rear and forward-facing cameras, which makes them great social devices, and perfect for video-chatting with friends and family. Tablets are equipped with external speakers as well as auxiliary jacks that can be used to attach standard headphones, and many newer tablets have wireless capabilities to connect to any headphones or speakers that support Bluetooth. Tablets generally function like an amalgamation of your personal computer and your smartphone. Similar to these devices, a microprocessor works as its brain and enables the tablet to perform functions. Like your phone or laptop, the tablet draws power from a rechargeable battery that will typically last from eight to 10 hours. Other features may be present in your tablet device as well, such gyroscopes and accelerometers that enable your device to sense motion. These types of features are taken advantage of by many games, augmented reality apps, and more. The graphics processor in the tablet works to display all of the information on the touch screen, while the flash memory stores all of your data so that you have quick access when you need it the most. The touch screen is made possible by a controller chip inside of your tablet that allows it to recognize your touch. The screen is either capacitive or resistive. 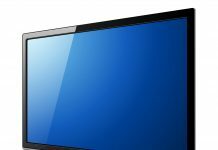 Capacitive systems detect changes in electrical fields and don’t rely on pressure for input, while resistive screens can receive input from pressure, and because of this, many resistive screens utilize styli writing devices. Gaming tablets can be purchased at most any retail locations that sell consumer electronics. The tablets that are reviewed on this list cost anywhere from $400 to $1,500. We understand that the purchase of a new gaming tablet will likely not be an impulse purchase, and because of this, we believe that it is important to supply you with accurate and honest information when it comes to your investment. As a result, we think it is necessary for you to understand our review process. First, we thoroughly reviewed each product that appears on the list down to its most minute detail. Then, we compare these product specifications with all of the other products to find the strengths and weaknesses of each device. Finally, we review feedback from customers who have already purchased these devices. The price of a tablet can cost anywhere from less than $100 to over $2,000 depending on the model, manufacturer, and customization. The items that appear on this list range from $400 to $1,500. The Samsung Galaxy Tab S3 includes a Samsung S Pen stylus for precise navigation and creation with pressure-response. The AMOLED display gives the device a high dynamic range as well as crisp detail with deep contrast. Additionally, the Samsung Galaxy Tab S3 has four AKG tuned speakers that calibrate as you reorient the device. Furthermore, this model is compatible with a detachable keyboard for productivity that meets portability, and with up to 12 hours of video playback on a charge, you can guarantee that the tablet’s battery will last you all day. 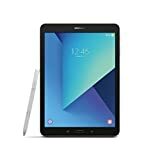 The Samsung Galaxy Tab S3 can be purchased on Amazon. This device includes a one-year warranty. The Google Pixel C comes with a 10.2-inch display that makes it portable while still retaining serviceability. This model from Google has a minimalist design that the company is known for. While this isn’t a new tablet, and was released in 2016, the Pixel C still excels as a gaming tablet. 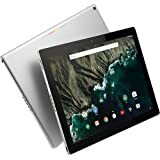 The Google Pixel C was available in both 32GB and 64GB options at launch, but later Google dropped the 32 GB model while keeping the 64 GB model available. It features dual speakers and an auxiliary jack with an eight-megapixel camera on the rear. The only branding that you’ll notice on the body of the tablet is a thin strip colored with Google’s iconic blue, red, yellow, and green schema. The cost of the Pixel C has gone up in the second-hand market since Google stopped selling them at the beginning of 2018. The Google Pixel C is available on Amazon. A warranty would not be included with the Google Pixel C, as it would need to be purchased used. The Microsoft Surface Pro gives you a 12.3-inch PixelSense screen that has little glare and high contrast. The tablet can enter a laptop mode with its detachable keyboard and kickstand. The Surface Pen accessory gives you a navigation tool for your tablet as well as a physical object to use for compatible games. Additionally, the Microsoft Surface Pro 4 has an i7 processor that is quiet, yet powerful enough to run all of your games without stuttering. The Microsoft Surface Pro 4 includes a three-year limited warranty. For those gamers out there that are looking to replace their current gaming tablet or just those looking to upgrade, the tablets our list are great options. However, for anyone who wants to further their research on the matter, you can follow these helpful hints in our buyer’s guide to make your transaction pain free. Set a budget for yourself. As a gaming laptop isn’t necessarily a necessity for most folks, the purchase shouldn’t be one that strains your wallet. Setting a budget for yourself can also help you to begin narrowing the choices to find the perfect gaming laptop. Next, after you have viewed a few models, and if you have found features that you like or believe that you would often use, begin by only searching for models with those features as you move forward. Likewise, if you come across features that you dislike, eliminate models with those features from your consideration. This can help you keep the cost of your investment low. Finally, you should review customer feedback from those who have already purchased the gaming tablet that you are interested in. Make sure to take a look at both the positive and negative reviews in order to obtain a balanced view of the device. Additionally, beware of tablets that have low user ratings, as these are almost certainly guaranteed to be poor quality products. After a thorough review, the Microsoft Surface Pro 4, Google Pixel C, and Samsung Galaxy Tab S3 are all fantastic tablets for gaming; however, the Samsung Galaxy Tab S3 takes the cake. If the price tag of just $450 isn’t alluring enough in and of itself, the tablet comes with the S Pen stylus. What’s more is the sound travels with you thanks to the calibrating speakers, so you get the full effect even when you’re sucked into that motion-controlled racing game. While the 10” screen may be a setback for some, others may see it as an advantage that just increases the portability, giving you all the more reason to sneak in one more match. You’ll get a sleek design that Samsung fans will be no stranger to as well as exceptional RAM. The device is also light at only 430 grams, which will prevent you from becoming fatigued during gameplay. The Microsoft Surface Pro 4 and the Google Pixel C still should be mentioned. While the Google Pixel C may be hard to find and a bit costly, it is still one of the best gaming tablets on the market. The Microsoft Surface Pro 4 has many notable features as well. The integrated kickstand in the tablet’s design is perfect for gamers who bring along a Bluetooth controller, and if you’re just looking for reasons to justify the purchase, the tablet can well enough serve as a replacement for your laptop.